Ecogrid is an environmentally friendly alternative for use in domestic driveways, banks, shores and slopes. 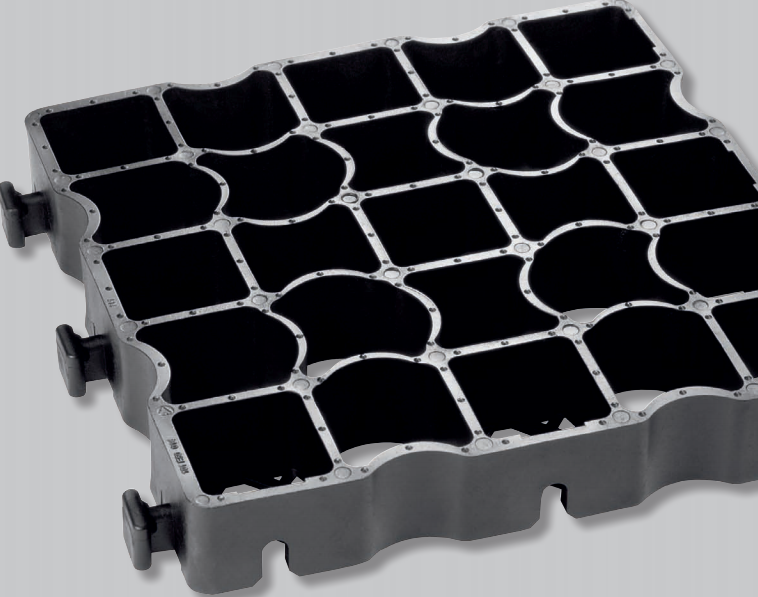 Ecogrid is a plastic porous paving product, it comes in three different depths and load bearing capacities. It arrives on-site pre-clipped together in 12 tile or 1.33 square metre sections, there are 9 tiles per square metre. Ecogrid is a permeable paving class leader with by far the best locking system that you would expect from the world leader in its field and a world leader for the past 20 years. Ecogrid needs no spikes or time consuming clips to assemble and is THE proven product for a multitude of uses. It is also guaranteed for 20 years and has been for all of the 20 years that it has been in production. Ecogrid is TUV tested for loads of 400/350 and 220 tonnes per square metre, however these tests are carried our empty, giving an accurate test of the load bearing quality of the grid alone. Other grid manufacturers show their load capacities as full grids, if we did this; we would show twice our published capacities at 440/700 and 800 tonnes per square metre! 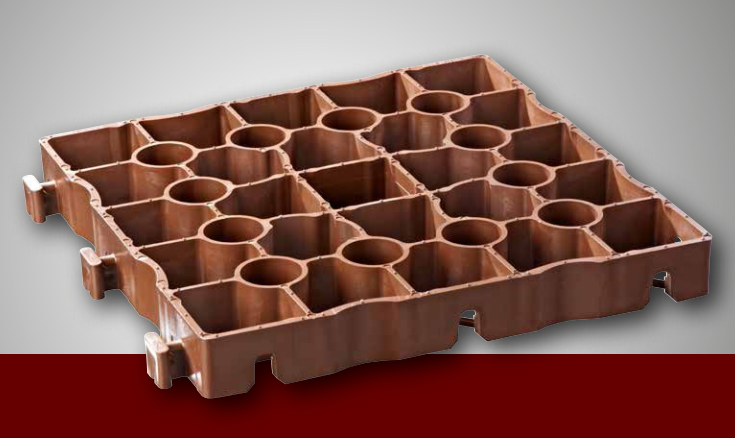 Ecogrid is a ground reinforcement product made from recycled polyethylene. It is THE solution for driveways, pedestrian and cycle paths, picnic areas, golf courses, parks, fire lanes, event areas and horse paddocks. Ecogrid is a sustainable ground reinforcement tile that provides excellent water drainage. Ecogrid comes in four different standard colours. Black, green, light grey and terracotta and can be filled with all sorts of material such as grass, sand or gravel. 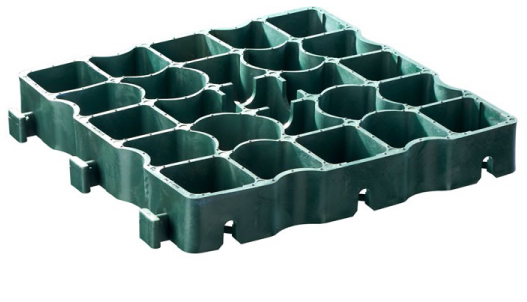 Ecogrid is used , filled with soil as a retaining medium for embankments, borders etc. gradient is not an issue as a selection of spikes are available from the accessory section of the shop. Two ways that Ecogrid is used, the first is filled with a 30/70 horticultural grit and organic loam mix then seeded, the second is when the grid is only filled 4/5 of the way, turf is rolled over the top and forced in to the grid with a vibrating plate or roller. Ecogrid is filled with the same medium as above, a hard wearing grass seed is used to fill the centre of the grid and then at the edges of the pathways, a flowering seed is placed to encourage wildlife, especially bees. A great way to form a pedestrian walkway or cycle pathway. 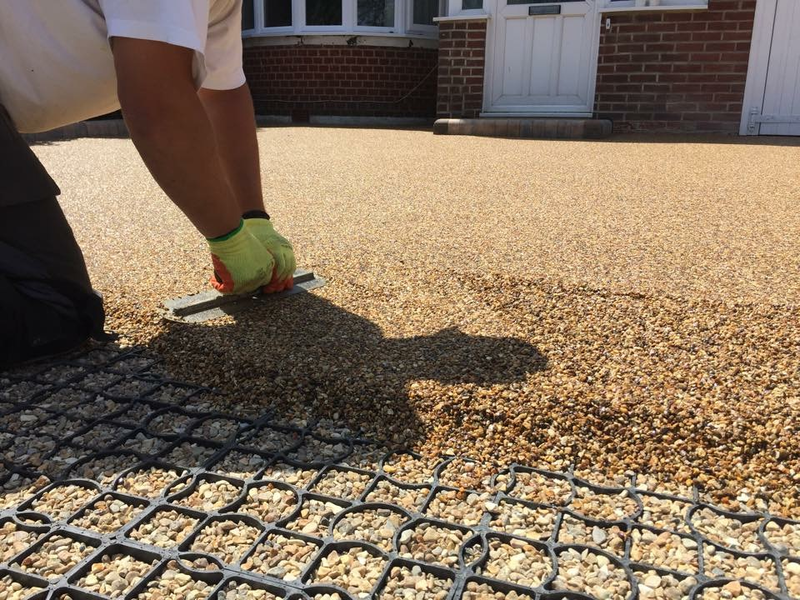 The most common use for Ecogrid, filled with 6-10mm sharp angular stone and over laid by approximately 10mm of surfacing, a superb gravel driveway or SuDS compliant parking area without the rutting or travelling of the past. 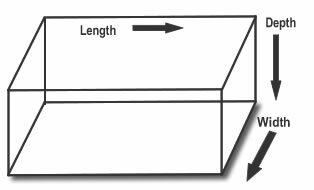 Ecogrid has a really useful angle section in the accessory list. Here grids can go from the horizontal to the vertical and back again without breaking the bond. Particularly useful for drainage ditches, streams etc.